A gallery of photos going back to when Porridge and Rice was started, has been added to the charity website. The gallery contains over 500 photos organised into 5 pages. 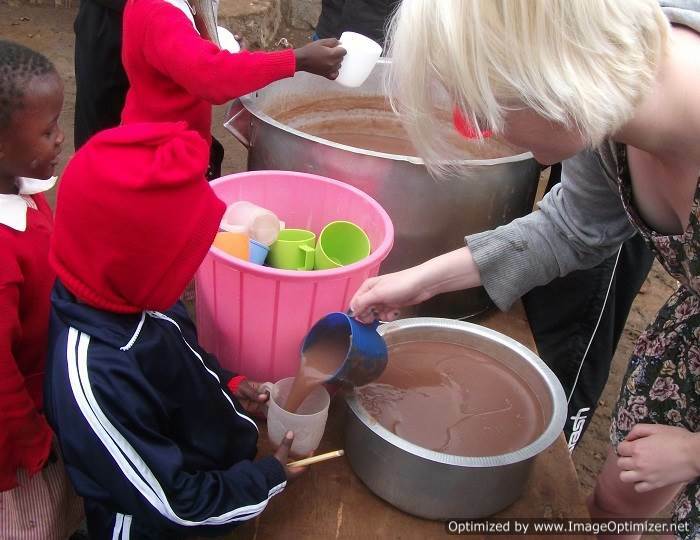 The contact contains some wonderful pictures of the children and teachers of Porridge and Rice. Thanks to some expert bargaining and hard work by Beth (Head teacher of Lizpal), Mary (Deputy head teacher of Excel), and Titus (Head teacher of Excel) breakfast supplies for the whole of the first term have been purchased. The next task is to buy supplies for lunch, which will be bought over the remainder of December in time for when the children come back to school. The Tilnar Cycle Challenge continues to get stronger year on year. 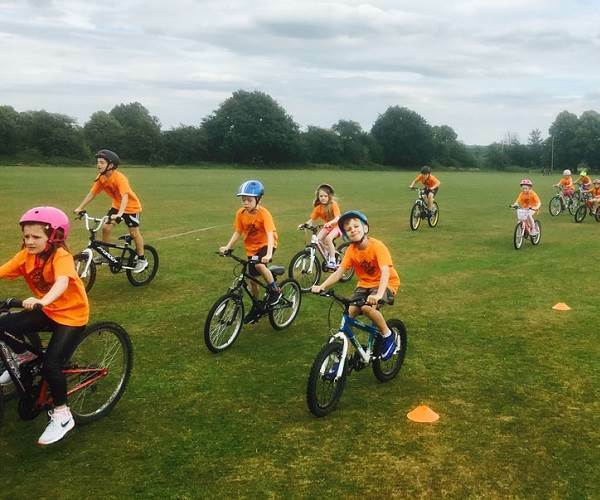 Visit the TCC website to see how this event has progressed, especially the school section which presents a fantastic opportunity for schools to raise money for themselves and a charity like Poridge and Rice. The event can be on any date and pupils do not pay to enter. Do you know a school that might be interested? Contact Porridge and Rice for help arranging a TCC event for a school. In September, a group of people took part in the Thames Bridges Trek to raise money for Porridge and Rice. Thank you to everyone who took part for your support of Porridge and Rice. 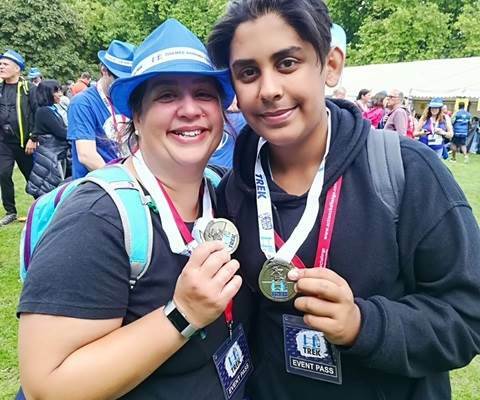 A special thank you to Sebastian Barreto who with the help of his mother, Tina Barreto, raised nearly £900 for Porridge and Rice as did Sharon and Martin. Next year, the walk will take place on 8 September. Please join us and support Porridge and Rice. 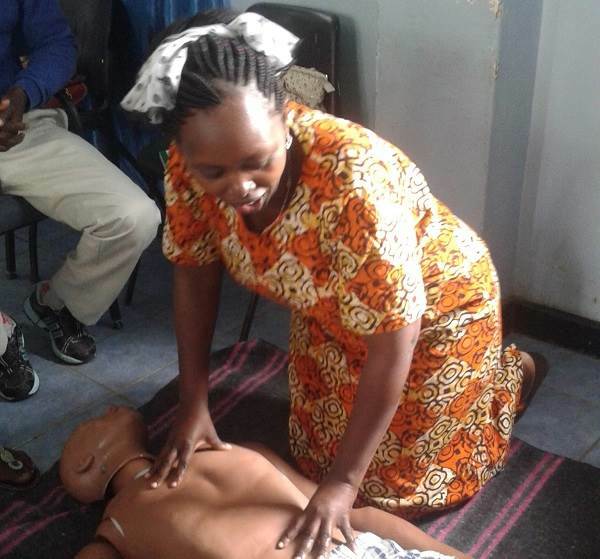 Every head and deputy head teacher at Porridge and Rice schools has successfully completed First Aid Training with St John's Ambulance. In 2018, the charity will begin to arrange training for teachers. After an incident, when a child nearly lost his life due to choking, the goal is to ensure that every school has the skills to ensure that this cannot happen again. 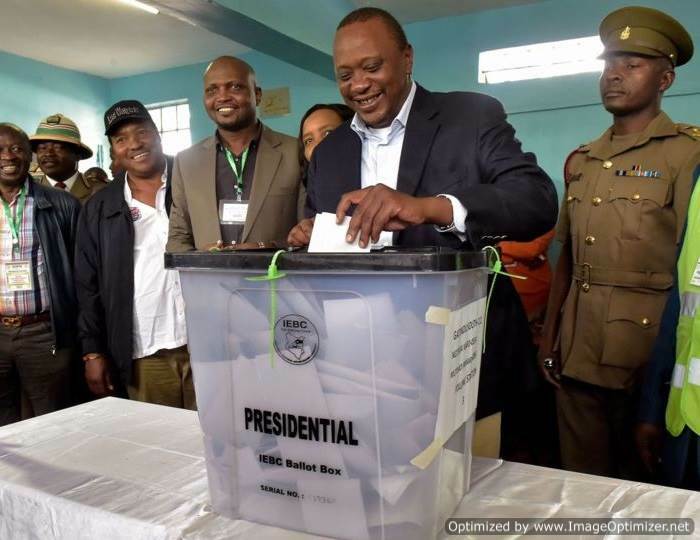 The elections in Kenya have been both worrying and disruptive to all Porridge and Rice schools. All schools has lost nearly 6 weeks leaving a significant shortfall in their revenue. In addition, some parents have chosen to take their children to the rural areas where they will be safe from any violence in the capital, making matters worse for the schools. While the website and other social media are excellent sources for information about Porridge and Rice, sometimes a summary version is handy. The charity has produced a two page summary of the charity's work that can be downloaded from Key Documents on the website. 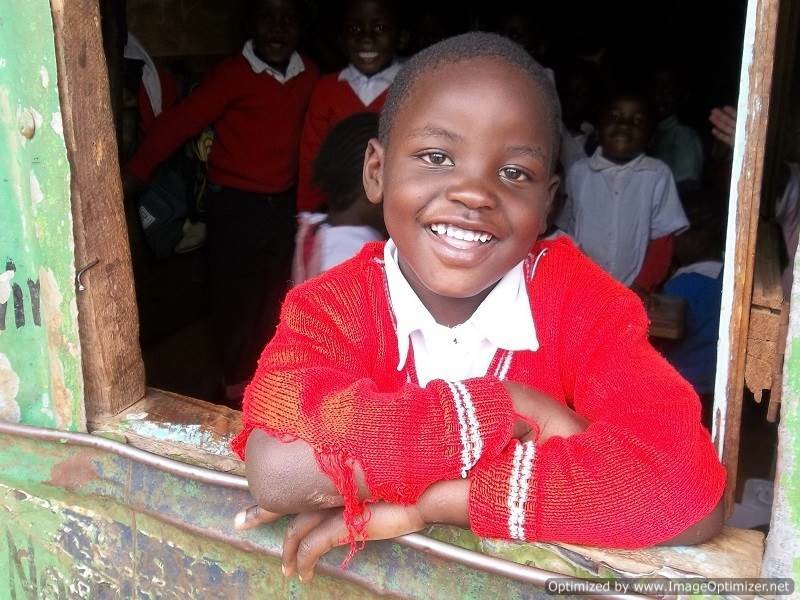 Porridge and Rice aims to uphold the highest standard of childcare with the pupils that it supports in the Nairobi slums, hence the publication of the charity's safeguarding policy under Key Documents. 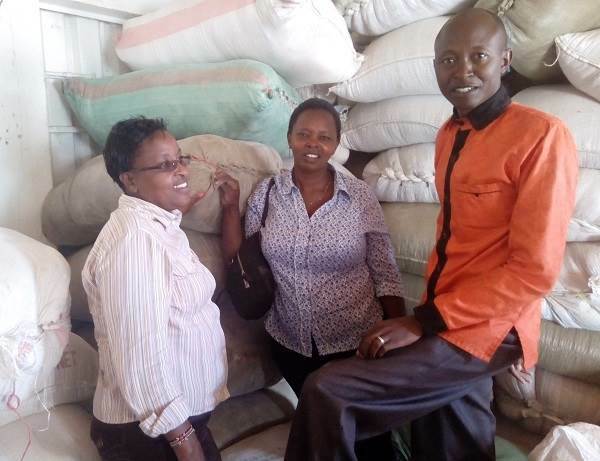 When volunteers travel to Kenya, we ask that they keep their possessions to one suitcase and allow Porridge and Rice to fill the other. 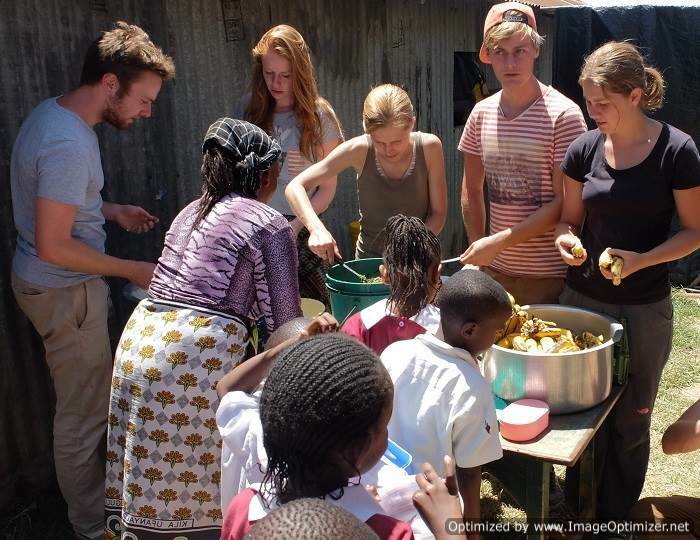 Volunteers in Kenya help with daily tasks like feeding pupils, as well as projects like checking eyes and building rooms. Visit the PaR Facebook page for more pictures and details about the work done by PaR.